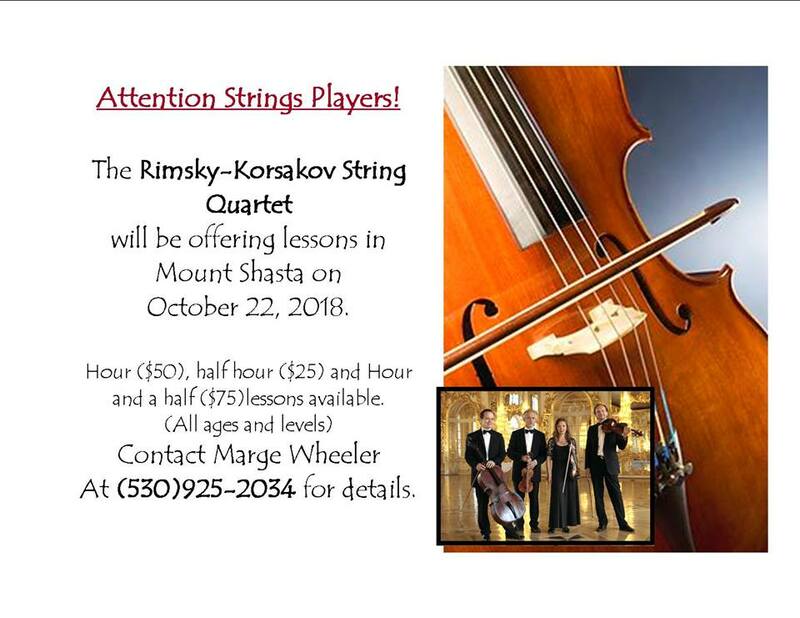 The highly celebrated and much loved Rimsky Korsakov String Quartet from St. Petersburg is coming back to regale us with their soulful Russian interpretation of great chamber music. 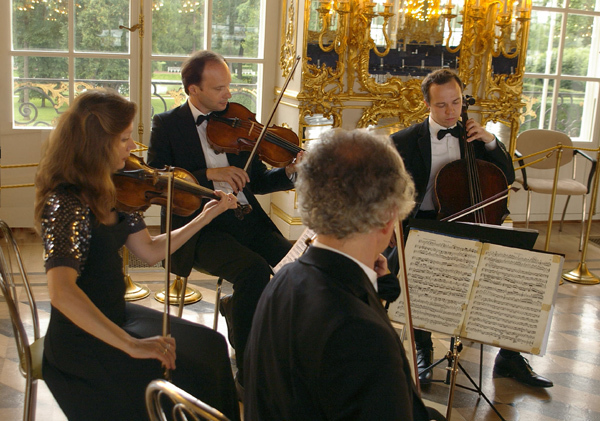 The program will include Mozart’s little gem ‘Adagio and Fugue in C minor, K546’, the lively and harmonically playful quartet in F Major by Dmitri Shostakovich and finally, Bedrich Smetana Quartet “From my life”, a musical depiction of his complex Czech (and sometimes Swedish) life. at the Mt. Shasta Seventh Day Adventist Church.